Should I Create a Special Needs Trust? BlogHome Special Needs Trusts Should I Create a Special Needs Trust? A special needs trust, also referred to as a supplemental needs trust, provides for a person with a mental or physical disability and allows the beneficiary to receive gifts, lawsuit settlements, or other funds and yet not lose his or her eligibility for certain government programs, including, Medicaid, Supplemental Security Income (SSI), and other state benefits. Under current federal law, any inheritance of more than $2,000 disqualifies individuals with disabilities and special needs from most federal needs based assistance and some state public assistance programs may also be affected. Creating a special needs trust may be essential to protect a disabled individual’s financial future. As the name implies, a special needs trust is not designed to provide basic support to the beneficiary, but instead to pay for other items that cannot be paid for by public assistance funds. This includes things like education, personal care attendants, rehabilitation, insurance, out of pocket medical and dental expenses, specialized equipment, transportation, and home furnishings. The trust can also be used for life-enhancing items like computers and electronics, recreation, entertainment, and vacations. The primary advantage a special needs trusts offers over a direct gift or inheritance is that the assets in the trust do not actually belong to the beneficiary and so does not jeopardize the beneficiary’s eligibility for government programs. A special needs trust holds title to property for the benefit of the child or adult who is the beneficiary. Because you cannot leave property or cash directly to your disabled loved one without penalty, you leave it to the special needs trust. In its simplest form, the trust is a relationship between the person supplying the trust funds, the trustee who administers the funds according to the donor’s wishes, and the beneficiary who will receive the benefits of the funds. The person who supplies the trust funds has the ability to set forth in a document instructions regarding how he or she wants the funds to be spent. The most important and often difficult issues in creating a special needs trust is choosing the trustee who will have discretion over the assets in the trust and will be in charge of spending money on behalf of the beneficiary. You must choose a trustee who has the necessary expertise to manage the trust, including making proper investments, keeping the accounts, paying bills, and preparing tax returns. Though a professional trustee will have these skills, they may be unfamiliar with the beneficiary and his or her unique needs. If you are uncomfortable with the idea of an unknown outsider managing your loved one’s affairs, it is possible to simultaneously appoint both a professional trustee and a family member as co-trustees. Make sure that whomever you choose is financially skilled, well-organized, and, most importantly, ethical. Remember, the trustee you choose will have discretion over the assets in the trust, and will be in charge of spending money on behalf of the beneficiary. 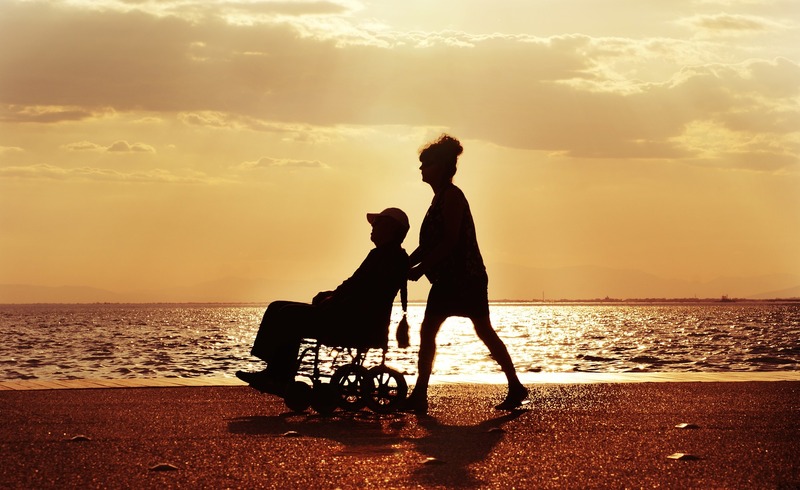 The special needs trust lasts for as long as necessary, which usually means the trust continues until the beneficiary dies, or the funds are entirely depleted. How do I fund a special needs trust? A special needs trust can hold almost any type of asset, including investments, stocks, bonds, a home, other real estate, and cash. But a parent or parents of a child with special needs should consider buying life insurance to help fund the special needs trust for the child’s future support. What may look like a substantial sum to leave in trust today may not be enough to continue the care that the parent(s) had previously provided. The more resources you have available, the better the support that can be provided the child. And if both parents are alive, the cost of “second-to-die” insurance, payable only when the second of the two parents passes away, can be fairly nominal. By creating the special needs trust early, extended family and even friends have the opportunity to make gifts to the trust or include the trust in their own estate plans. Do I need to consult an estate planning attorney? The most important thing you need to do when creating a special needs trust is to make sure that federal and state benefits are not put at risk or invalidated, and that the beneficiary receives the individual care that the parent(s) provided when they were alive. There are several different kinds of special needs trusts. And since this is a complex area of law, it is best to consult a Virginia estate planning attorney with expertise in special needs trusts. Your attorney will make sure that the trust protects government benefits and is customized to meet your child’s future needs. For more information about special needs trusts, estate planning services, and our packages, contact our office today at 703.938.3510 or visit our website: www.NorthernVirginiaTrustsAndEstates.com.